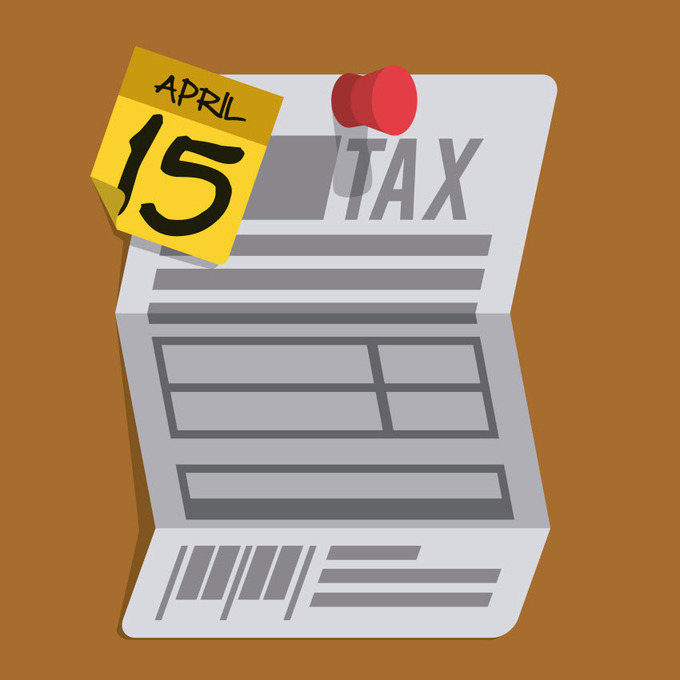 April 15 can put fear into a lot of people, as that's the day that taxes are due. If you're one of the lucky ones who get a refund, the only thing you need to worry about is making sure your tax return is filed on time. If you owe the IRS money, it's not a particularly great day for you, especially if you don't have the money to pay what you owe. While you can pay your taxes with a credit card, that option comes with several caveats, one of which is that you have to have enough available credit to be able to pay your bill. Because the IRS can't accept credit card payments, it uses several processors to do that work, and those processors will also charge you for the convenience. Depending on your method of payment, those fees could be flat rates or percentages of your payment--or both. However, if you don't pay your taxes, the federal government can assess a federal tax lien, which means the IRS can legally claim everything you own equivalent to the amount of tax you owe them. This lien gets sent to creditors and also gets put on your credit report. Because it's the government, they also get the ability to cut the line, so to speak, if you owe multiple creditors, are going through bankruptcy or are selling real estate. In fact, if you file for bankruptcy, it's possible that a lien wouldn't be forgiven, and you'd still be responsible for paying that money to the IRS. It doesn't matter if you skipped paying taxes once a few years ago and have been prompt with payments since then. The IRS is allowed up to ten years to file a lien, a time limit that can sometimes be extended. Getting a lien place on your personal credit record can mean big headaches. "A tax lien can have a serious negative impact on your credit file, which can last for some time. Since a tax lien is a matter of public record, it falls into the same category as a civil judgment or wage garnishment on your credit report. When these appear on your credit history, your score will take a dive. At best, it will make it harder for you to qualify for the lowest interest rates and best terms when borrowing. At worst, it could trash your credit and prevent you from qualifying for financing a house or a car," said Bruce McClary, vice president of public relations and external affairs at the National Foundation for Credit Counseling, via e-mail. More specifically, according to FICO, tax liens on your credit report may lower your FICO Score, the number that helps determine your creditworthiness. The easiest way to get rid of a lien is to pay your tax debts in full, and then you can work on fixing your credit. While the IRS will release a lien within 30 days of full repayment, that information can stay on your credit report for years. "Unpaid tax liens remain on your credit file for 15 years, and paid liens can report for seven years from the date of last payment. The best way to accelerate the process and restore your credit to good health is to make full repayment a top priority. The sooner you pay the balance, the earlier you can start the seven-year countdown toward the removal of the lien. The better news is that your credit score will show signs of improvement after the balance is paid and before the account drops off of the report. This is simply due to the fact that a paid lien or delinquent account has a diminished negative impact on a score over time. As long as other accounts are being paid on time, a credit score should heal with time," says McClary.